I see no trace of high frequency bump, it seems to have a very natural and gradual roll-off. Since my 440MLa is approaching 500 hours of use, this 540ML is a serious candidate for its replacement when the time comes. Just to be clear those measurements were from the VM95ML, not the VM540ML. That seems an impressive result, particularly the upper end extension to 20k+. I have long been a fan of the AT cartridges, the 440mla in particular. I've always like AT cartridges too. The ML styli are very hard to compete with in terms of inner groove tracking, which is something I place a high premium on. Here are some more measurements, these are from the VM95C ($35 conical cart) using the 1A sweep on the CBS STR100. 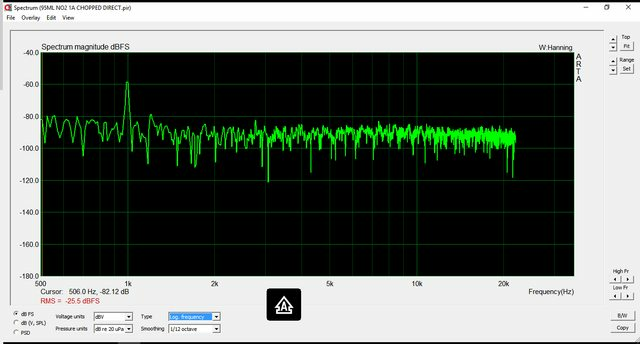 Audio was taken from an inexpensive USB phono preamp on a different turntable system than the VM95ML measurements up thread, so they aren't really comparable. I think this cartridge is a good choice for a removeable headshell or secondary turntable where you might like to play records in less than great condition. 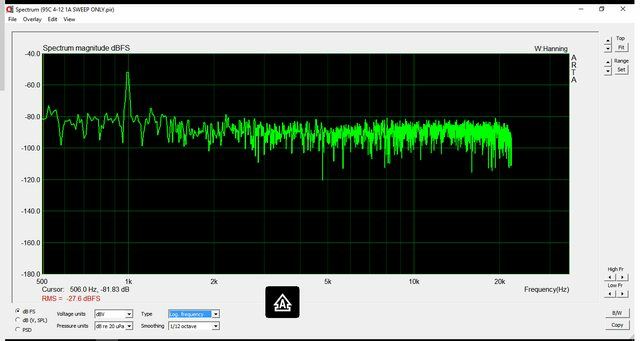 I have an inexpensive, though relatively flat measuring USB soundcard on order right now. 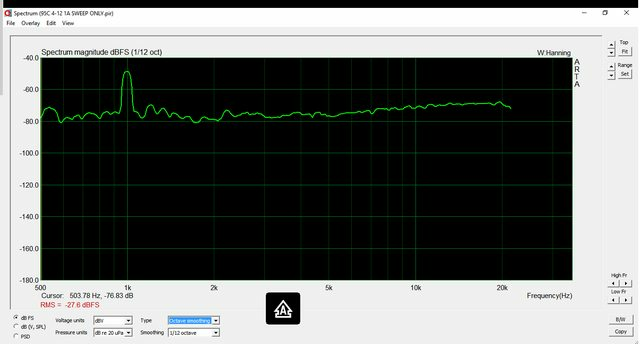 When it gets here I will re-do the measurements of the VM95C and VM95ML from the REC outs of my integrated amp. They still won't be directly comparable but perhaps a little closer. If I have time I may also try the VM95C stylus on the VM95ML body so I can get them measured on the same turntable system. 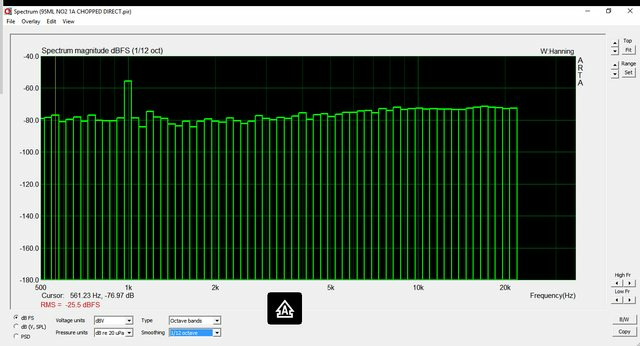 I have a feeling the soundcard I previously used to measure the 95ML is skewing things somewhat, perhaps showing more roll off than what is there. We'll see. Although I would love to be doing these measurements with more than one test record and a pro-grade rack mount ADC it's just not in the budget right now. I was tempted by the 740ML as well, but I haven't been able to find ONE review stating the superiority compared to the 540. Really, to me it seems the same cartridge except for the metal body... and I don't necessarily think it adds any real benefit. For sure, it costs more for probably the same sound quality, and it adds a couple of grams of unwanted weight which would push resonance a bit at the extreme of the acceptable range on my turntable/arm. If I were deciding between the 540 and 740 I would probably do so based on tonearm effective mass specs. As you say the 740 could be a detriment on some tonearms, though possibly a benefit on others. 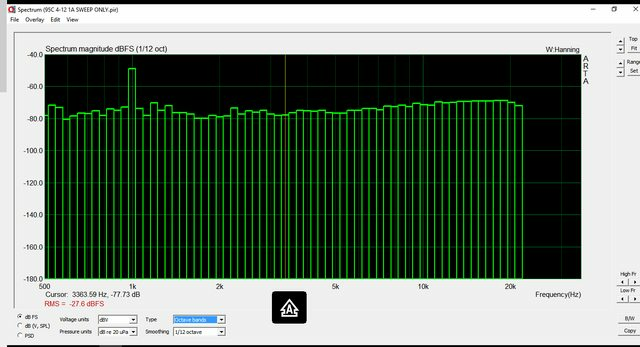 I would expect overall performance (assuming no resonance issues) to be nearly the same. Here are some updated graphs of the 95ML. 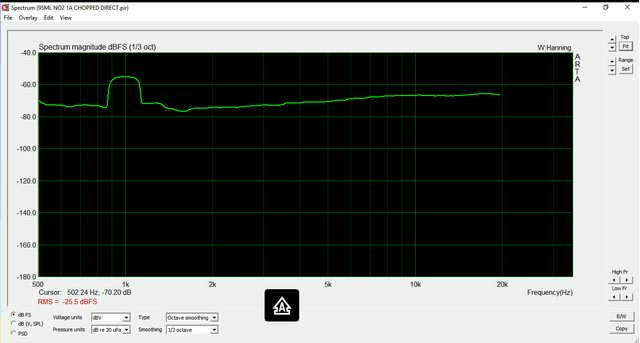 The high frequency roll off I was getting with the 95ML vs. the 95C (two different setups) was puzzling so I wanted to do the graphs over again for the 95ML, this time using a better, though still cheap USB soundcard. Now the FR between the two versions of the cartridges looks a lot more similar.